TERMEZ, Uzbekistan -- Uzbekistan's government has plans for an educational centre dedicated to teaching Afghan citizens in Termez District, along the border with Afghanistan, as part of efforts to strengthen co-operation between the two countries. Details of the centre's operations are still in flux. Afghanistan might seek to have full-length undergraduate programmes, or it could request shorter professional training for already-employed Afghans. Both full-time day courses and online learning will be available. The ethnic composition of the students (Afghanistan has a sizable ethnic Uzbek minority) and the language(s) of instruction are other matters that the Afghan side will determine. The centre is scheduled to open next year, according to a November 19 decision by the Uzbekistani government, which is financing the construction. The centre will be located in a former college building near the border city of Termez and will include a modern, fully equipped campus, Javokhir Khatamov, a spokesman for the Uzbekistani Ministry of Higher and Secondary Specialised Education, told Caravanserai. "The centre plans to train specialists in the humanities and in pedagogical, engineering and technical specialisations," he said. "The Afghan side will decide what majors will be [covered]." The government-accredited educational institution will offer Uzbekistani diplomas. The project represents a continuation of Uzbekistan's policy to strengthen infrastructure in the border zone, officials said. Previous efforts have included plans to build an international logistics centre nearby to develop trade with Afghanistan and counter-terrorism. The tuition of Afghan students attending the centre will be partially funded by Uzbekistan Railways (UR). "Afghan students will pay only 50% of the required cost -- Uzbekistan Railways will cover the remaining portion. Visa fees will be waived," Khatamov said, adding that the school administration plans to solicit donations and international grants. The average cost of education at Uzbekistani universities during the 2017-2018 academic year was 7 million UZS ($872) per year. The selection of UR to be a sponsor was far from random, according to Tashkent-based political analyst Valerii Khan. "Uzbekistan considers developing a railway network in Afghanistan a strategic goal of its own, which will produce not only economic benefit but also security in the region," he told Caravanserai. The UR-built Hairatan-Mazar-e-Sharif railway that links the two countries -- Afghanistan's first long-distance common carrier railway -- has operated since 2011. Uzbekistan is now prepared to extend the railway to Herat. "Grand projects like building a railway in Afghanistan require specialists," said Khan. "Clearly, training them is one of the main goals ... of the educational centre." Rail links are not the only mode of transportation expanding between Uzbekistan and Afghanistan. Kam Air, one of Afghanistan's airlines, made its inaugural flight from Kabul to Tashkent Wednesday morning (November 29), according to Uzbekistan Airways. Kabul-Tashkent flights are scheduled to begin regular service in December, on Wednesdays and Sundays, 1news.uz reported. Afghan airline personnel will also train at Uzbekistan Airways' flight and aircraft maintenance schools. Kam Air's first flight brought an Afghan government delegation to Tashkent just days ahead of an official visit by Afghan President Ashraf Ghani scheduled for early December. Several documents covering railway issues are ready to be signed during Ghani's visit to Tashkent, according to Abdullah Ahad Halikyar, a counsellor at the Afghan embassy in Tashkent, as reported by Podrobno.uz. One of the documents envisions the countries working jointly to repair, maintain and operate the Hairatan road and rail bridge, one of the most important routes linking Uzbekistan and Afghanistan, according to Halikyar. 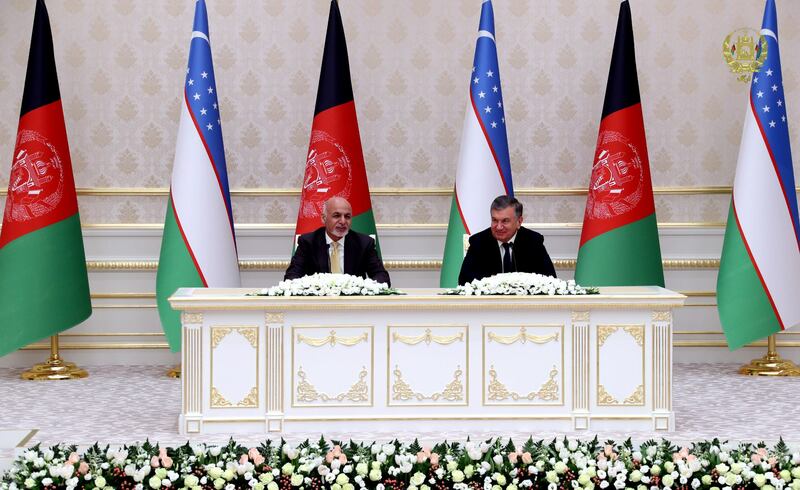 Ghani was originally scheduled to visit Uzbekistan in October, but the meeting was rescheduled. 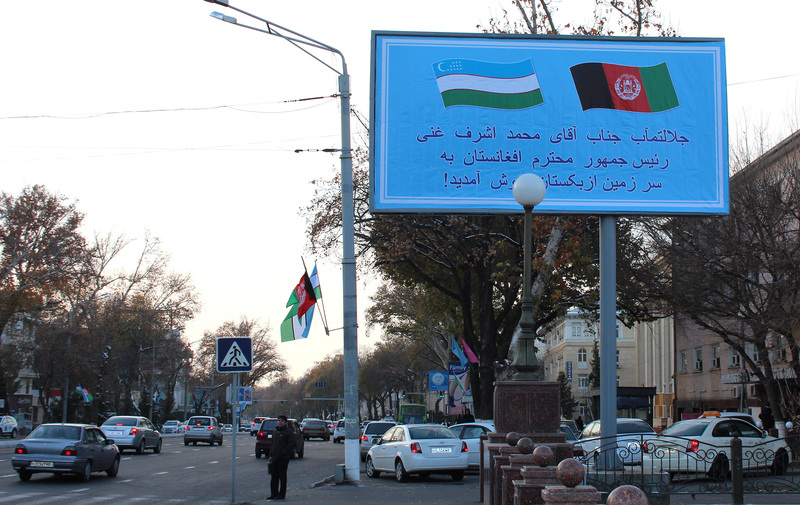 Nevertheless, on November 8, Ghani wrote to Uzbekistani President Shavkat Mirziyoyev to commemorate the 25th anniversary of the establishment of diplomatic relations between the two countries. "I express my gratitude to you and to all the brotherly Uzbekistani people for the support they have provided over these years," Ghani wrote. "Afghanistan is determined to continue to work diligently on joint projects." The leaders of the two countries oversaw the signing of dozens of agreements and trade contracts worth more than $500 million. Central Asian security, bilateral trade and infrastructure development were among the topics during Afghan President Ashraf Ghani's visit to Tashkent earlier this month.